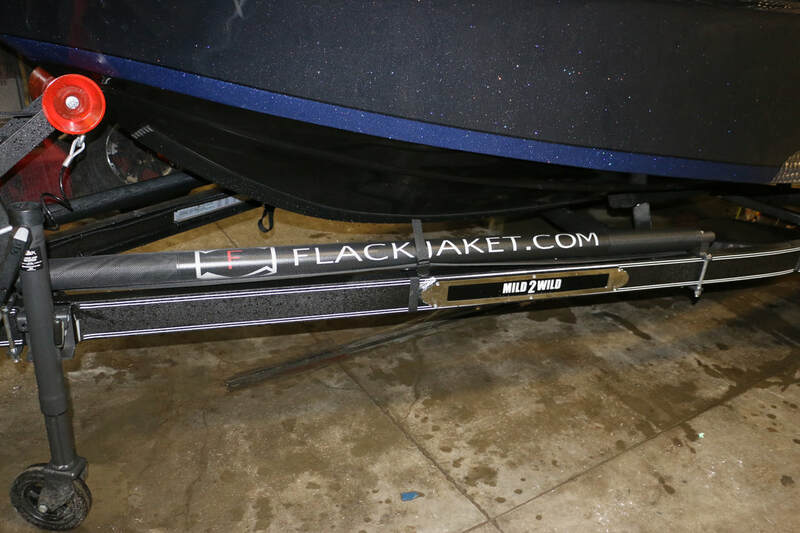 Patented retractable Flack Jaket spool system. NO DRILLING INTO THE RUB RAIL WE HAVE A SOLUTION FOR ALL INSTALLS!! Built tough and installs in minutes, get on the list of orders today! 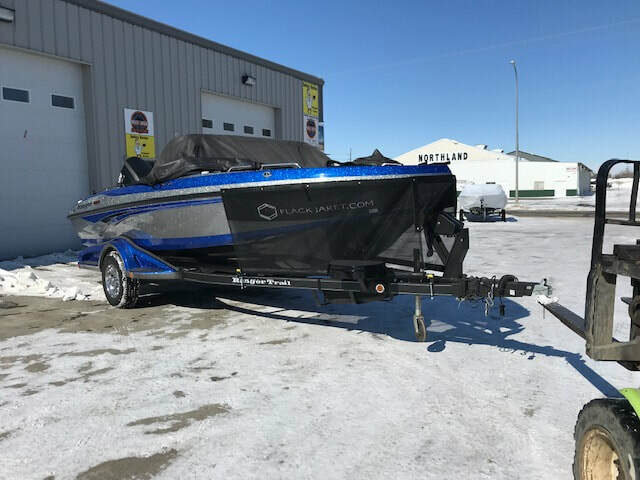 ​More boat brands, and equipment added every week. 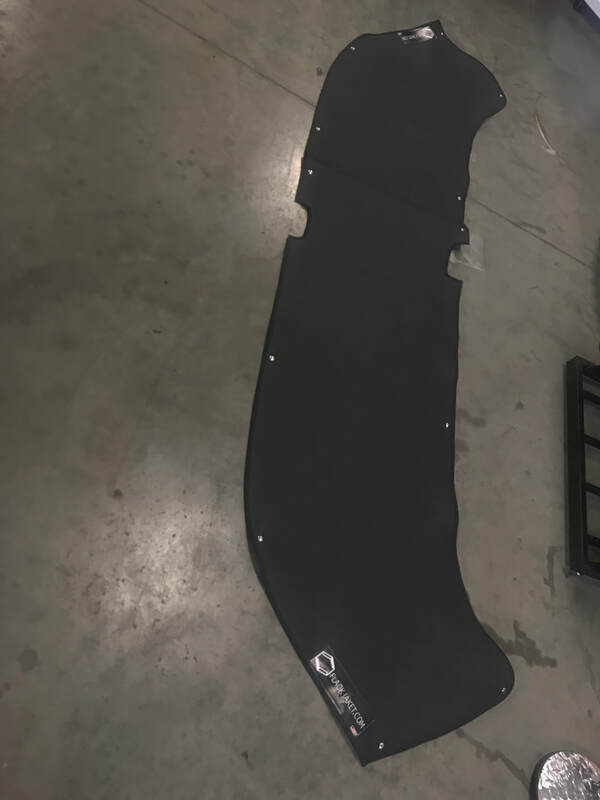 Call us if your model isn't currently available. Install and protect your investment with ease! Easy on and easy off in seconds with our retracting roller assembly! 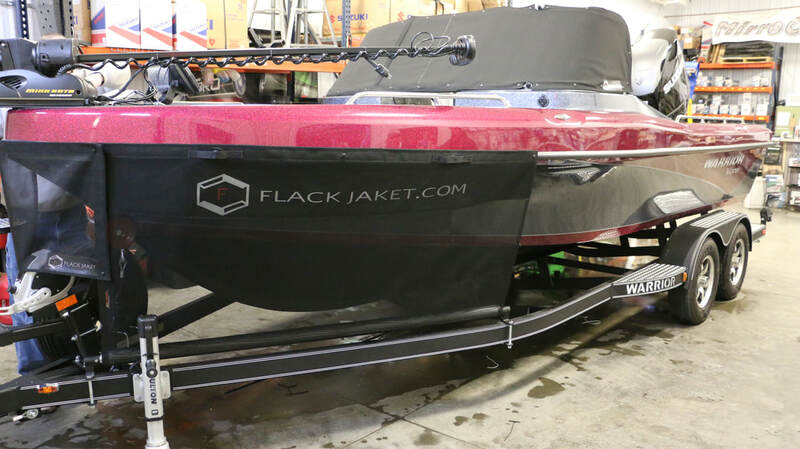 ​Our patented Flack Jaket was developed to protect your boat or equipment while being durable, easy to use, and simple to install all without sacrificing functionality. 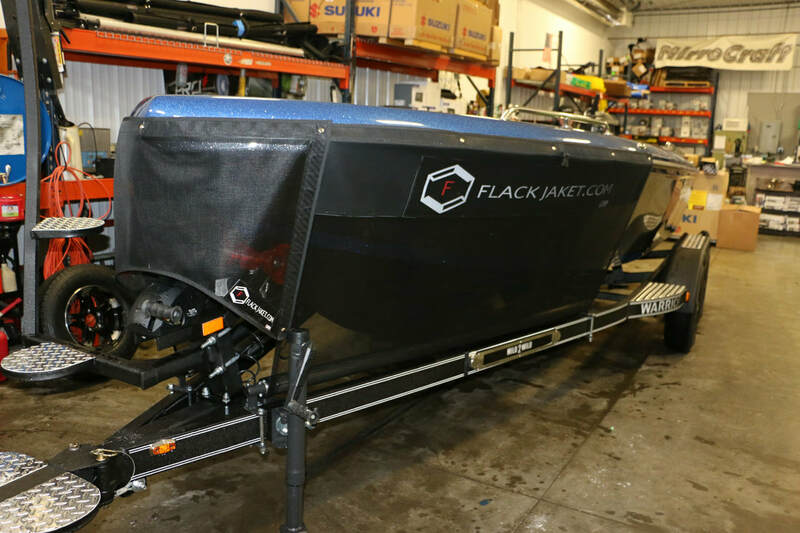 The Flack Jaket uses extremely strong rust resistant components and the patented spool system is good for thousands of revolutions. 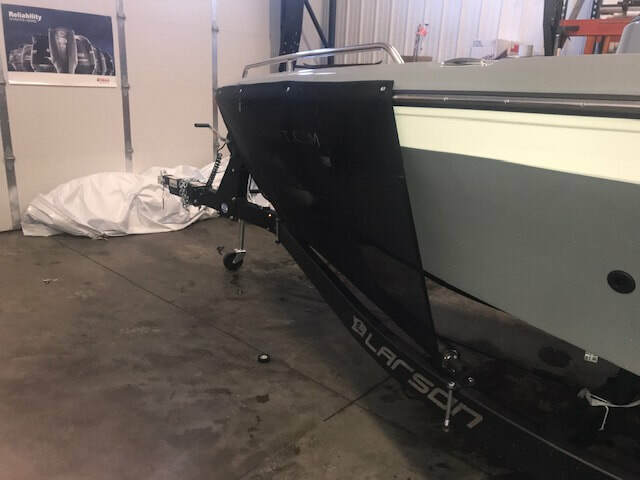 Installs in minutes and will protect your boat from rocks, tar, and road grime for many years. 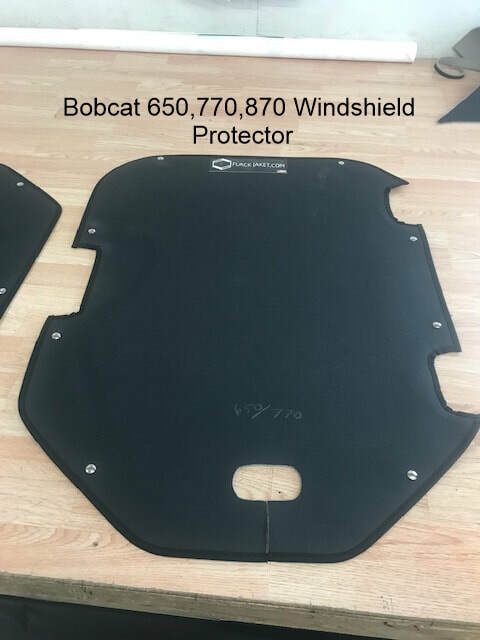 We use an extremely durable material which is weather resistant, tear resistant , easily washable, and very easily replaceable in the event you accidentally destroy one or both sides of your Flack Jaket. 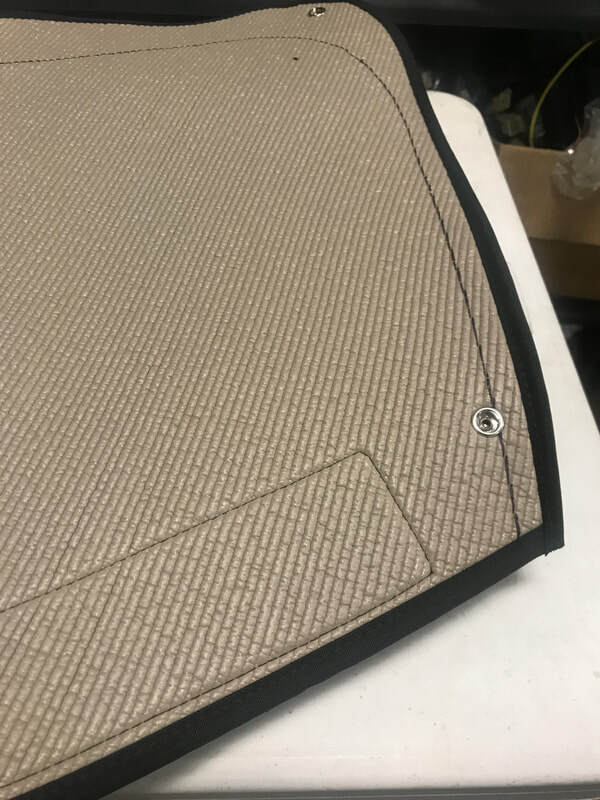 The inside of the mesh where it meets the rub rail is designed with a soft felt so you are able to put your tarp or cover on without removing the Flack Jaket and it will not scratch your equipment. 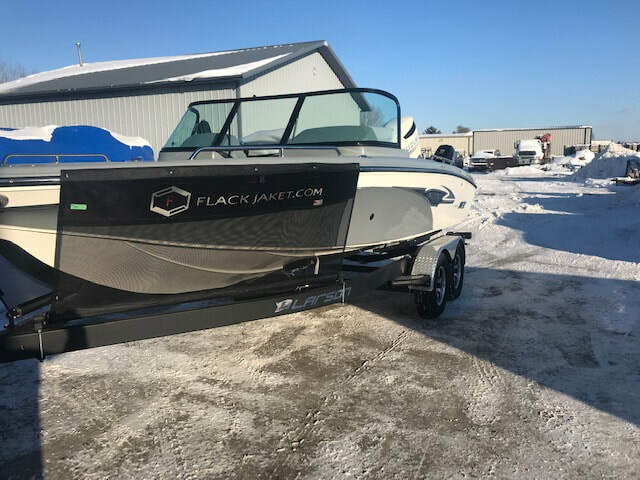 We will be releasing a ton of new applications soon so stay tuned, if you have a boat or custom equipment application you would like a Flack Jaket designed for please feel free to call us anytime. 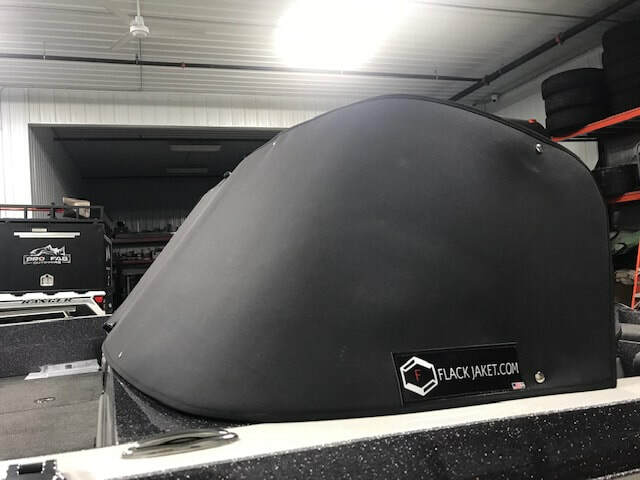 Our windshield protector material was designed specifically for Flack Jaket. 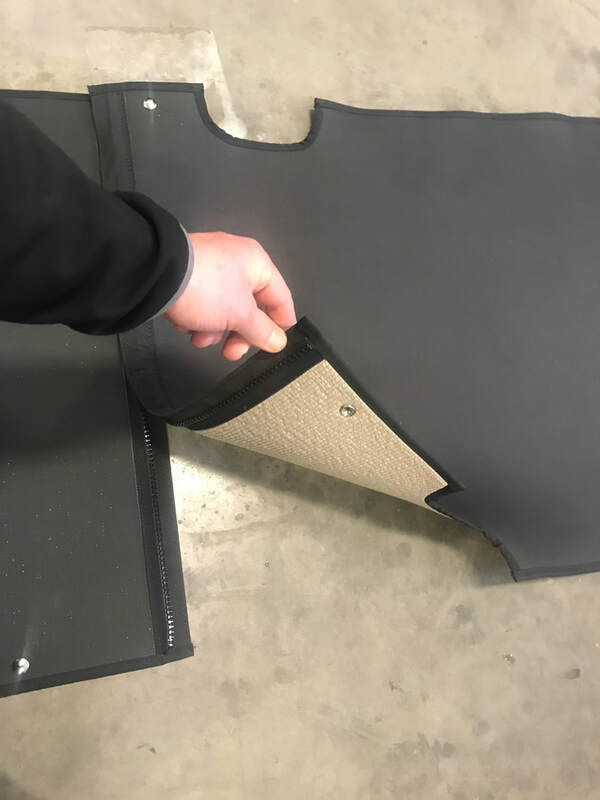 The Dense soft foam backing is sprayed onto the canvas material which is oil resistant and will not scratch your windshield over time. 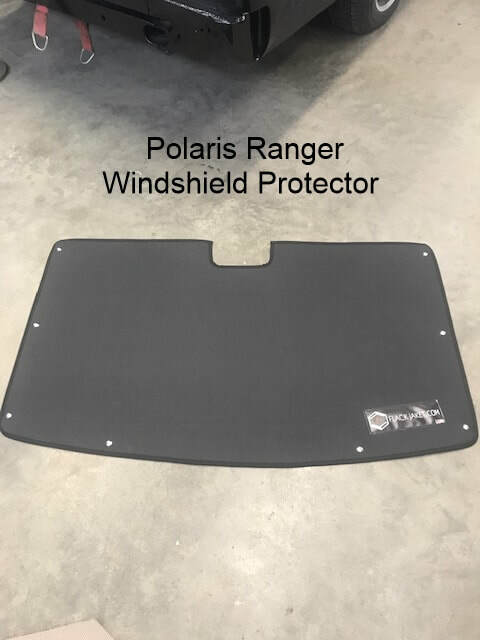 The padded backing is thick and will protect your windshield from bugs, tar and rocks. 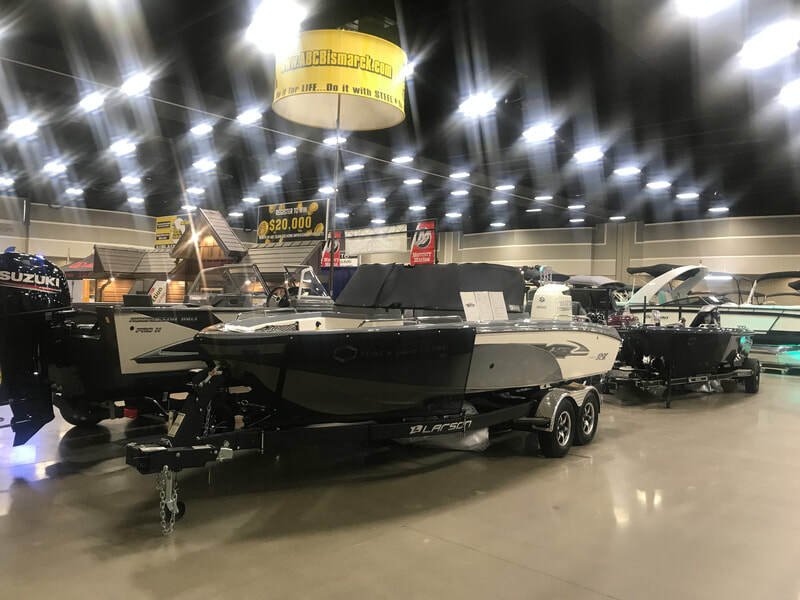 Warranty: This is a nationwide one owner warranty in the event that you move to another part of the country – you’re covered. This warranty does not apply to damage caused by misuse, accident, misapplication, or ordinary wear, nor does it apply to dents caused by physical impact. 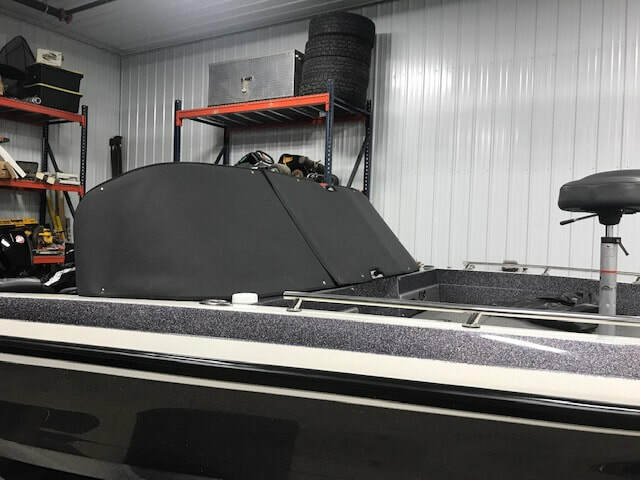 Impacts resulting in scraping, tearing, gauging, ripping, and such of the mesh, thus resulting in physical damage would be covered under your boat insurance policy. 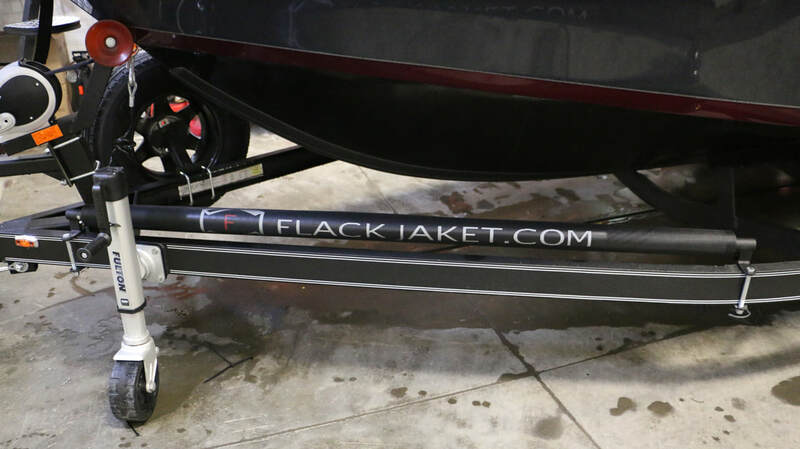 We offer a 2 year guarantee on your Flack Jaket spool system and 6 months on the mesh material. Any labor costs which will be minimal will not be covered under this warranty. 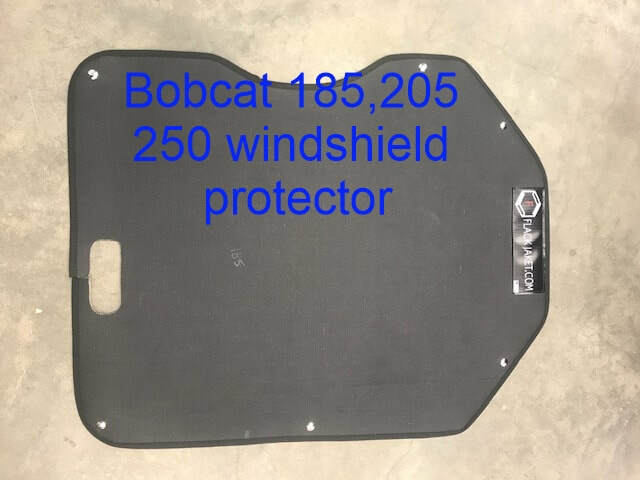 Registration and proof of purchase is required for all warranty coverage. Shipping and handling costs excluded from warranty.